The plant that attracted the most interest from the thousands of visitors to our Embroidered Minds Epilepsy Garden at the Chelsea Flower Show 2018 was Valerian. Its statuesque form with white flowers doesn’t closely resemble its dark red relative that many grow in their own gardens. It was chosen to be included in the Chelsea planting in part because of its use as a medicinal plant throughout the centuries for treating people suffering from epilepsy. Valerian officinalis has been known to have sleep-giving qualities and was thought to be beneficial as a calming agent for those with a variety of complaints. It also was considered to have additional anticonvulsant properties, and so doubly useful for those with epilepsy. The drug was made from the roots of the plant, said to have the smell of old socks and thoroughly unpleasant to take. With the advent of a more scientific approach to medicine in the mid-19th century, physicians began to investigate the efficacy of drug treatments more systematically. The growing activity in British brain science shared this research trend, much of which was based at the newly founded National Hospital for Paralysis and Epilepsy in Queen Square, London. The fact that the hospital included treatment of this second group of patients was due to the insistence of its founding physician Jabez Spence Ramskill. The Chandler family who were responsible for establishing this charitable institution had a family interest in the treatment of paralysis. However, Ramskill’s specialty was in the treatment of epilepsy, and it was due to his efforts that the remit of the hospital was expanded to include such patients when it was founded in 1859. He was one of a number of London doctors who were keen to find new and better treatments to control the seizures in their patients. Although Valerian and other herbal remedies were the standard treatment of the day, some like the London neurologist James Russell Reynolds dismissed the utility of such drugs. In the mid-19th century, a number of studies were carried out to determine effective treatments for the relief of epileptic symptoms. This was at a time when the use of Potassium Bromide was being explored as an alternative. Ramskill and his Queen Square colleagues published a number of articles on its utility for epilepsy. It soon became the treatment of choice, so that when Jenny Morris needed help it was Potassium Bromide that she received. Bromide based drugs continue to be used today. While highly effective for controlling seizures, have a number of long-term side effects that Jenny herself was known to experience. After being long abandoned, Valerian is again being considered for its use in epilepsy treatment today. It appears that one chemical compound found in the plant may indeed have anticonvulsant properties. 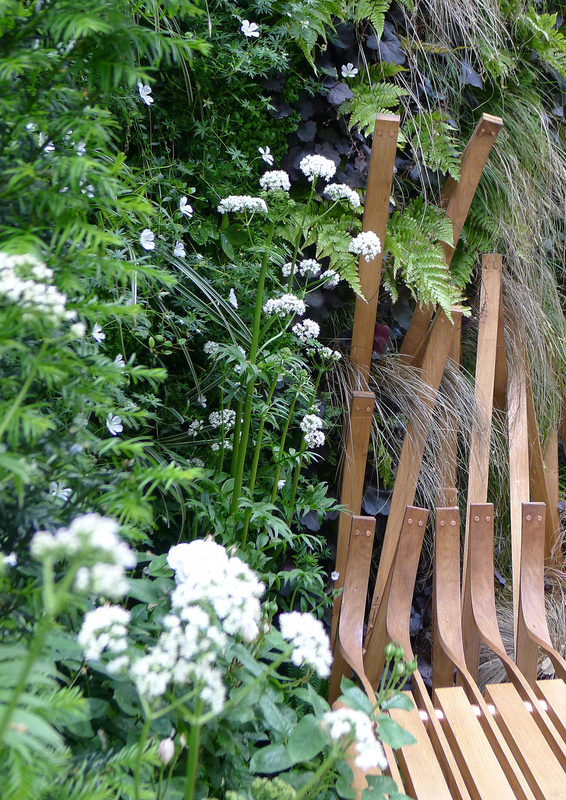 The Chelsea Epilepsy Garden design was conceived as a representation of the experience of epilepsy, told through the story of Jenny and her father William Morris who lived and worked next door to the National Hospital in Queen Square in the 1870s and 1880s. The inclusion of Valerian and other medicinal plants were a talking point for the thousands of visitors who appreciated the horticultural beauty of the garden and its symbolic representation of the serious neurological disorder. Marjorie Perlman Lorch (2004) The unknown source of John Hughlings Jackson's early interest in aphasia and epilepsy. Cognitive and Behavioral Neurology, September, 17: 3, 124-132. Mervyn Eadie. “Could valerian have been the first anticonvulsant?” Epilepsia, 2004, 45(11): 1338-43.